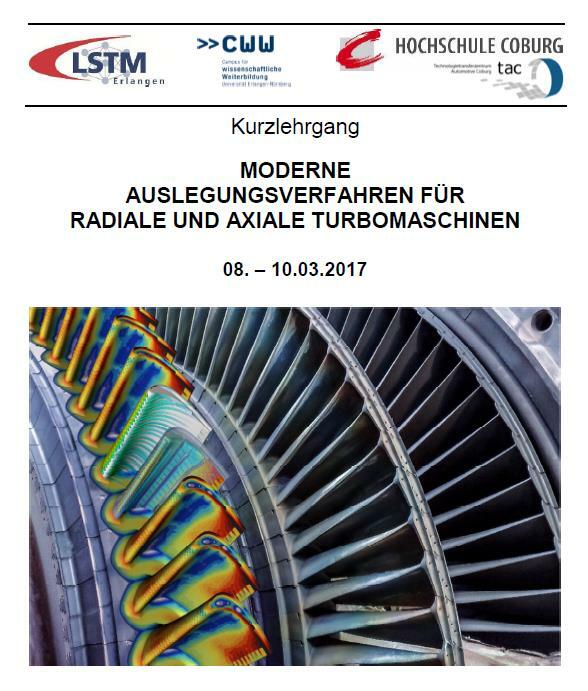 From 8 to 10 March 2017 the Institute of Fluid Mechanics (LSTM) of the Technical Faculty of the Friedrich-Alexander-Universität Erlangen-Nürnberg hosts a short course on “Modern Design Methods for Radial and Axial Turbomachines”. ISimQ contributes lectures on rotor-stator interaction algorithms including harmonic balance methods and turbulence modelling. The course covers basics of fluid mechanics and numerical methods for turbomachinery analysis, shows the application of design systems for axial and radial machines, and provides an introduction to experimental methods. The short course closes with special topics like acoustics and optimisation. Several design systems and CFD software vendors will present their solutions. More information is available at https://www.lstm.uni-erlangen.de/veranstaltungen/kurzlehrgaenge/stroemungsmaschinen/index.shtml.